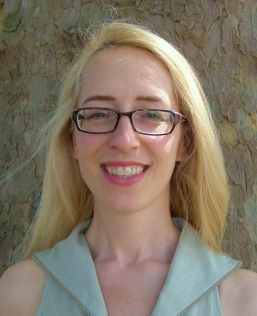 Dr. Britta Derbuch-Markovic is working as a General Practitioner in London for the past 10 years. Over these years she dedicated herself to offering the best medical care possible to her patients and established exceptional ties with Specialists at the best London Hospitals – both in the Private and NHS sectors. Dr. Derbuch spent 7 years based in Hampstead, London before moving to Richmond. Dr. Derbuch is working throughout London and can therefore effectively assist all her patients through her local knowledge, no matter where they live in the City. Dr. Derbuch spends much of her time assisting her internationally based professional patients and members of their family in coordinating their care whilst abroad; as well is enjoying the privilege of working with various Embassies, being often one of the first points of contact especially when people from abroad, new to England, seek medical attention and ask their Embassies for assistance. In 2009, Dr. Derbuch was granted the title of Physician of Confidence by the German Embassy. Dr. Derbuch was born in Austria and grew up in Canada. After completing a Bachelor of Science degree with distinction at the Dalhousie University, Halifax, Canada, she then studied medicine at the Medical University of Vienna, Austria. After receiving her Doctorate in Medicine, and having gained experience in various distinguished medical institutions in Germany, Austria and Canada (among others at Hospital for Sick Children, Toronto Canada, Lorenz Boehler Unfall Krankenhaus, Vienna, Austria, Wilhelminen Spital, Vienna, Austria, Royal Infirmary, Edinburgh, Scotland, King’s College Hospital, London, England), she subsequently completed her training (Paediatric training for 3 years and subsequently GP Vocational training – completed in 2001). Besides Paediatrics, Dr. Derbuch has extensive experience in Psychiatry.and has made a TV appearance as an invited guest for an International debate on the German Healthcare System on the Stadt Forum Television Discussion of the Sueddeutsche Zeitung in May 2009. Through her years of gaining international experience Dr. Derbuch is well aware of the stress and strains of a busy, modern, professional’s life and the subsequent toll it can take on health and the health of the family. Dr. Derbuch understands the need that it is particularly important to know someone to turn to when one feels at one’s most vulnerable and Dr. Derbuch always endeavours to assist all individuals in a most timely, discreet, professional, compassionate manner. Dr. Derbuch provides her services in German, French, Serbo-Croatian and English. Ricarda Freyer-Hall has 20 years practice management experience including setting up and establishing new surgeries. She has a degree in fashion design from the University of the Arts London (UAL). Claudia Cibis’s tasks include reception, medical support and managing patients accounts. She is a qualified Bank Clerk. Monika Broeer’s duties include reception, medical support, ordering and dealing with laboratories. Mrs. Broeer is a fully qualified Medical Laboratory Technichian.